Suilvision products are installed in over 2000 car parks in the UK. Reliable and dependable the products work 24 hours a day 7 days week in ticket less parking, overstay enforcement, vehicle monitoring solutions plus many more applications. Providing an ANPR solution for car parks can be very demanding and Suilvision have designed a range of products to provide solutions for most scenarios. If the car park is operating a barrier system then the most popular product is the Bollard Plus which provides a low level view of the oncoming vehicle reading the plate under the barrier. Many car parks have wide joint entry exit lanes which while the areas are marked with lines they are not physically separated which allows traffic to make full use of the space with vehicles frequently crossing lanes. In normal circumstances this would be a difficult area to monitor and would require the use of several cameras. 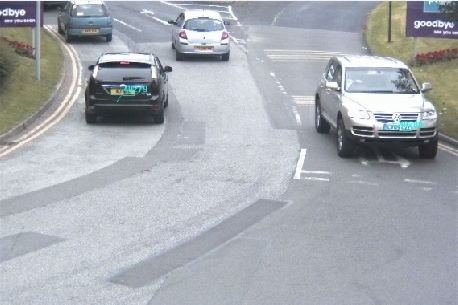 However, Suilvision deal with this situation on a daily basis with the Phantom Camera being more than capable of handling the multi lane scheme. All Suilvision systems have access for third party connection should a particular client have their own Management Software. If a complete solution is required Suilvisions latest Web based software, mysuilvision will take care of most of the likely scenarios found in car parking.